Broadgate landlord British Land has announced a twenty year lease with one of Japan’s leading banks. 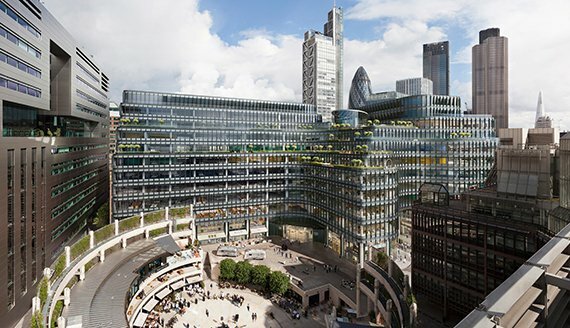 Sumitomo Mitsui Banking Corporation Europe Limited has agreed to take 161,000 sq ft of office space over the first three floors of under-redevelopment 100 Liverpool Street. The 520,000 sq ft redevelopment is due to complete in 2019 and will include 90,000 sq ft of retail, restaurants, cafés and bars. Tim Roberts, Head of Offices, British Land commented: “SMBCE’s decision to invest in Broadgate for the long term is not only a strong endorsement of London as a global city which remains attractive to international organisations as a place to do business, but of the wider campus and 100 Liverpool Street.